Sleep Insights is the largest independent sleep medicine practice in Central and Western New York, providing adult and pediatric sleep specialist appointments, sleep testing and therapies. We are not owned or affiliated with a hospital system. Our integrated approach allows someone to be seen for an initial diagnosis with a sleep specialist and have access to additional sleep testing, CPAP supplies, and the latest drug-free sleep therapies all at a convenient, centralized location. Sleep Insights was founded in 2005 by Kenneth E. Plotkin, MD, a board-certified sleep specialist and neurologist. 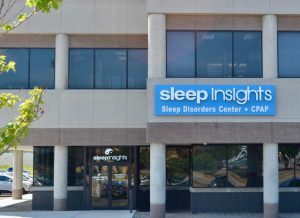 In 2006, an affiliated company, Sleep Insights Management Services, was formed to expand and centralize the management and operations of all sleep center locations under the leadership of Jeffrey O. Dann, CPA, an experienced medical practice executive. In 2015, Jacob Dominik, MD, became Sleep Insight’s Medical Director. 2005: Sleep Insights was the first sleep medicine practice in Rochester to have a Respiratory Therapist on site to provide needed CPAP therapy. At that time, we also introduced the welcoming, upscale hotel-like rooms and soothing environment for those needing sleep testing. 2015: We began offering the Oral Appliance (OA), an alternate option for obstructive sleep apnea, and continue to partner with local dental practices to provide the OA. 2017: We were the first sleep medicine practice outside of NYC to offer Inspire Therapy, a novel alternative for patients unable to use or get consistent benefit from CPAP. 2018: We are currently the only sleep medicine practice in New York and New England offering Ebb Insomnia Therapy, a cooling, wearable headband that quiets the racing mind and enhances the ability to sleep. Sleep Insights has multiple locations spanning across Central and Western New York. We attribute our steady, geographic expansion to our integrated sleep model and high level of personalized, patient care.